ANDREW BLOCK is an award-winning, critically-acclaimed Director and Teacher, with an affinity for strong stories that grow from richly developed character and nuanced on-stage relationships. Equally experienced with new works, classics and musicals, his work possesses a collaborative spirit and is known for being intellectually challenging and viscerally stimulating. His multiple collaborations with playwrights and new works have led to publications, numerous new play awards, frequent extensions, and Off-Broadway transfers. Andrew Block received the 2011 Ovation and L.A. Drama Critics Circle Awards for Best Director and Best Production for his world premiere production of Small Engine Repair. He has had critically-acclaimed and sold-out productions in The New York International Fringe Festival, including an extension to the Encore Series at the Lucille Lortel; Best Director and Best Play awards in a variety of NY festivals, and a GLAAD Media nomination for Outstanding Theatre. 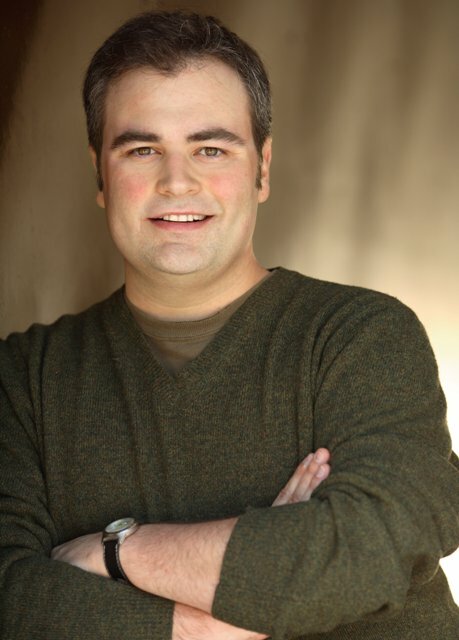 He was named one of the “Top Ten Off-Off Broadway Professionals in New York City” in 2011 by Review-Fix. His work has been seen Off-Broadway, Off-Off-Broadway, Washington DC, Texas, Chicago, and multiple NY theatre festivals. He is a founding member of Rogue Machine Theatre in Los Angeles, called “one of the most ambitious and accomplished new theater companies” by Variety and one of the Best Companies of the Decade by L.A. Weekly. He is responsible for curating their late-night theatre series, Off the Clock, and creating the hit short-play festival, Shorts & Sweets. He currently resides in New York and is a member of Stage Directors and Choreographers Society (SDC). Directing credits include: Company, Lost and Found, Recovery, The Shape of Things, Bingo With the Indians, Dancing at Lughnasa, Twelfth Night, Noises Off, City of Angels, Little Shop of Horrors, and Tartuffe. Andrew grew up in the creative gumbo-pot of New Orleans, where he spent his first years living next to local tap-dance legend Oliver “Porkchop” Anderson. He began writing and directing stage mysteries for his junior high classes and took his first job creating puppet characters for the Italian Pavilion at the New Orleans World’s Fair. He continued honing his early love of the arts through the Tulane Summer Shakespeare apprentice program and programs at NOCCA and the Contemporary Arts Center. He studied at Adelphi University’s BFA Acting program in New York, and continued his training through the MFA program at The Theatre School at DePaul University in Chicago, formerly the Goodman School of Drama. He also received his teaching certification at the University of Texas at Austin. He has directed and taught on the high school, secondary and professional level, and currently teaches Acting at the Waterwell Program at New York City’s Professional Performing Arts School, and is Resident Director of the Manhattan College Players.